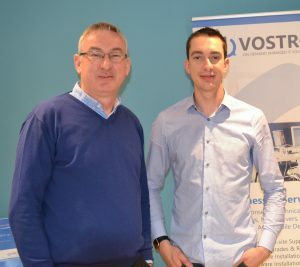 A move to bigger new premises has capped a year of growth and innovation for IT specialists Vostro Ltd. While many IT companies offer Cloud storage solutions, Vostro has developed a UK based solution which sets it apart from competitors. Vostro has provided a Cloud solution for businesses such as law firms and financial businesses who have been unable to use US-based Cloud storage due to UK Data Protection laws. It is just one innovation, together with the supply of managed broadband and monitored support systems for business, which has seen Vostro’s Jonathan Lawton grow his business. Microsoft Support specialist Jonathan founded Vostro in a bedroom of his May Bank home in 2010. Now Vostro is moving into its second permanent base at Carlton House, Stoke, having outgrown a smaller office in Cemetery Road, Shelton. The move has allowed Vostro to extend its staff to a team of three and gives them space to grow further. At the age of just 30, Jonathan has built up years of experience in the IT sector. He achieved Microsoft Certified Systems Engineer status in 2009 and has experience in a range of business sectors including health if industry worked in business sectors including health and leisure. New contract wins in recent months has seen Vostro working to support companies from sole traders to a national shop chain. This has led to Jonathan taking on a new service engineer which has helped him to achieve further growth. “We now have staff members to work on finance and to take on some of our client work under my supervision. This has given me space to work on business development and triggered further growth,” explained Jonathan. The company has also benefited from the support of a mentor, Richard Vaughan of The Different Place, Uttoxeter. 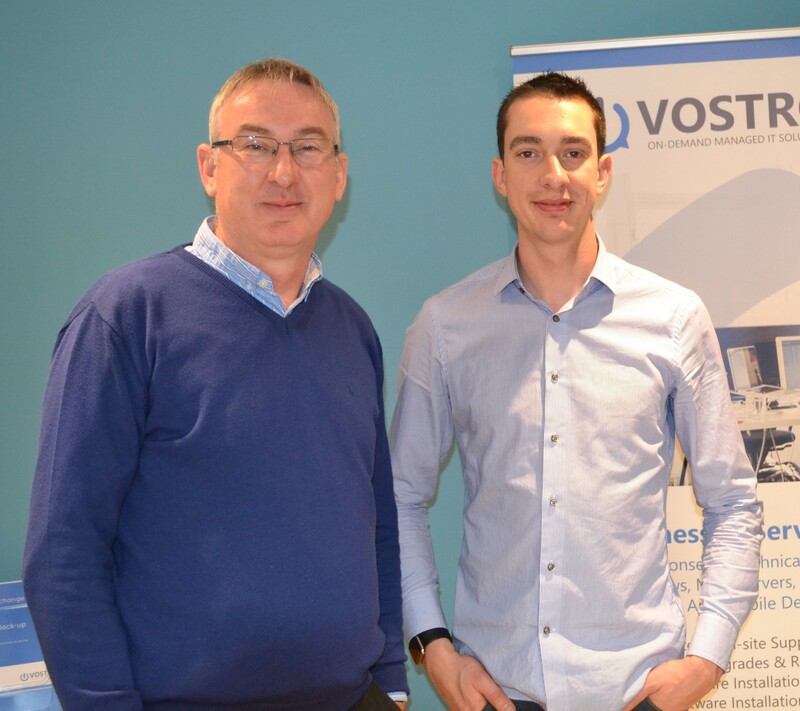 Richard began helping Vostro through the Staffordshire Chamber of Commerce’s Let’s Do Mentoring programme and has continued to offer support as Vostro expands.